We feel safe and healthy drinking the water after having your system. The water definitely tastes better. I feel that my hair is softer than before. Overall, we are happy with the LifeSource system. Your customer service is efficient and polite when I called. Now we have no no need for bottled water. Tastes great, no chlorine smell, can water plants with internal water, no need for bottled water. We LOVE our LifeSource Water for its convenience. I want to commend you on your customer service. I want to commend you on your customer service. In the past month, month in a half, Ive had two requests for lifesource that were handled in the most professional manner. The first was about a month ago when my filter was constantly leaking water. The District mgr. Shannon, called me the very next morning and went way out of his way to service my call the very same day. The second was this morning when I had a question regarding a submission for reimbursement for a factory defect. Eleanor called me promptly this AM saying she recieved my email from last night, explained the reimbursement and gave me a timeline as to when I would recieve a check. I am completely impressed with the level of customer service that I have recieved from your company!!! It has been very prompt, courteous and professional. It reassures that I made the right choice in the water filtration unit that I bought. Thank you thank you thank you!! Lifesource is awesome! Have had LifeSource for several years, we moved into a new home, and had to have one installed! We have terrible water in Santa Clarita, and with LifeSource, no more water spots, are skin feels great, and the water tastes good! My name is Kevin Burchette. My wife Rosemary, and I wanted to pass along a compliment regarding your workmen that were at our house in BelAir. The workmen's name is Robert and his assistant Joe. I just wanted to tell you that they've done an exemplary job and just outstanding professionalism and have been polite and courteous and gone well above and beyond to provide us a wonderful experience and you should know we've been long time customers of lifesource and when I was in the real estate business and dealt with Lou Gross -that's going back a ways. I refer all all of my clients to you and just wanna let you know that Robert and Joe have done an outstanding job. Thanks very much. I'm e-mailing Life Source Water Systems to say how pleased I am to be owning your product. We purchased the whole house filtration system and am happy we did so. I no longer feel concerned that when we shower we are getting chlorine on our skin and then into our bodies. Most of all I'm pleased to no longer have the burden, expense and health concerns associated with bottled water. I just turn my tap on and know I'm getting truely filtered water.I have been concerned with the plastic bottles for years and also with what was in our water coming through the tap.I'm glad we researched and found your company. I recommend getting this system to anyone to protect your health as well as saving lots of wasted money on bottled water that isn't even good for you. We have had our new 1620S Life Source system for only a few days, but we can already feel the positive effects of the conditioned water while bathing and drinking. We are very satisfied so far. We live in Tucson where the outside temps will reach 105 + degrees. Our instillation is above ground since the in-ground installation was impractical due to the location of our main water line relative to the house slab. I insulated the tank myself by wrapping a hot water blanket (R-11) around it and additionally wrapping an aluminum reflective wrap (R-4) around that. I also installed foam insulation on the pipes leading into and out of the tank. I spent about $100. My suggestion would be to insulate those tanks to be installed above ground in higher temperature areas. I would like to thank LifeSource for introducing us such a great system. The moment we touched the new water, we noticed the change. The texture of the water is very different. I don't know if this is the correct way to express it, but it felt very soft and smooth. Our previous water had a strong odor of chlorine, but the odor disappeared instantly. The water tastes so good that when we drink water from other sources, they taste awful. My daughter's face was breaking out, but her face started to clear up, which is the most reason why she is satisfied with our new water. Once again, thank you very much for your great system! I love my LifeSource Water because I can drink from any tap in the house and I’m sure that my family are bathing in clean water without chlorine! Wondering why we didn't do this years ago. When we were asked how we liked our water system, like my husband says, "Why didn't we put this in years ago"? Coffee and tea taste so much better, clothes seems to be cleaner, our skin isn't chalky white and the taste is so fresh we are both drinking water from the tap ..which we haven't done in many years. We love that we can drink pure water straight from the faucet now and we are no longer putting salt water into our septic tank. We are well aware of the benefits of a more alkaline water system to drink from and this system has easy maintenance. We feel we made a wise choice trading out our soft water unit for LifeSource water. My wife and I love our lifesource. The water is not hard on our skin, it tastes great when drinking, and best of all, I don't have to worry about having to change any filters or regular maintenance. Thanks. We are thoroughly enjoying using our new LifeSource Whole-House Water System. It's such a convenience to have the pleasure of going to any water faucet in our entire home and being able to drink a pleasant tasting glass of water, cook our vegetables and brew our coffee and tea. Also, it's so handy to be able to get a pitcher of water for our house plants without going to the filtered water coming from our device at the kitchen sink to fill it. Great treat for taking a shower or bath and it's wonderful for shampooing our hair. No residue from the crud in our prior water sources. I could go on and on but I'll suffice it to say, we love the system and would not hesitate even a half of second to do it again. Thank you LifeSource for restoring our peace of mind and giving us great-tasting water. I just had my LifeSource water system installed two weeks ago and the whole family is excited to drink water. It taste so good and the water is so clear. We love knowing that we are washing our food with the clean water and putting it on our hair and skin when bathing. I have definately recommended LifeSource to several friends already! We LOVE our LifeSource Water. The water tastes better, because there is no taste. Water is great from any faucet. Clothes are cleaner with less soap being used. I love LifeSource Water in the shower. Taste reminds me of the well water at Grandma's in Ohio! I LOVE our LifeSource Water because the taste reminds me of the well water at Grandma's in Ohio! We have had our system installed now for a few weeks and I wanted to tell you that we are enjoying our clean, chlorine free water immensely! No more itchy skin or chlorine smell, and I feel better knowing that it is filtered water for our family. Highly Satisfied! Thanks! We have had our LifeSource Water system for two weeks. It has greatly improved the quality of our water. Soap and shampoo are sudsier, dishes are cleaner. Our experience with our sales rep was outstanding. Overall, very pleased. We saw the demo at the Orange County Fair. My wife was concerned about salt from our existing softener. What I like about our new water system from Life Source is the additional benefit of removing other contaminants. The better benefit for me is the “no maintenance” feature and convenience of not having to have service calls or buying and lugging 50 pound bags of salt. I would like to tell you some of the things I like about LifeSource. I find my skin is softer and not as dry as it had been. My hair is softer as well and holds the color much longer than before. We drink at lot more water now and less bottled water. Also, the hard water deposits on our shower have decreased. So far I'm loving LifeSource. We are very happy with our LifeSource water system, in fact, this is our second LifeSource system. Our new system replaced the original system installed 13 + years ago. We added the Scale Solver to our new system and are just starting to notice the benefits of the Scale Solver since we live in an area with very hard water. It is great to be able to cut way back on the amount of detergent and soap needed. We love our system and are saving on bottled water. We have had our system for about 3 weeks. I can tell that our skin is not as dry and it gives a pleasant feel to the skin. The taste is great. We don’t need our Brita anymore. The knowing that the system is cleaning the water gives us a healthier outlook. We don’t have to worry about the contaminants found in the water. It’s nice. So, far we are enjoying our water. 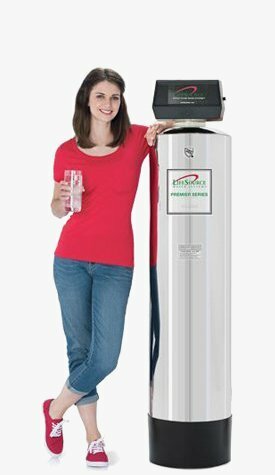 We have had a LifeSource water system in our home for 7 years now and we love it so when we purchased a second home, the first thing we bought for it was a LifeSource water system. When we moved into the area (Florida) 8 years ago, the chlorine/fluoride in the water made our skin break out in a rash all over our bodies. EEEWWW!!! 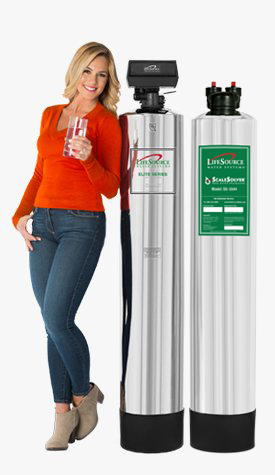 After some research, we decided to purchase the LifeSource residential water system. Within days of installing the system, our skin cleared up and we no longer had to purchase bottled water to drink. 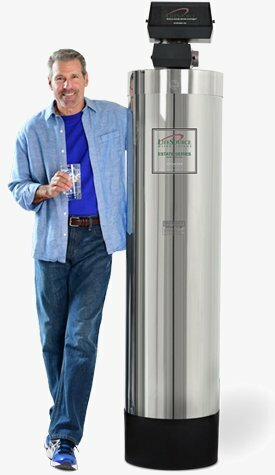 Not only has this system paid for itself just in the savings on bottled water, but I like the peace of mind knowing that all the water in my house is filtered, clean and healthy. Thank you life source for a great product. We recommend the LifeSource Water System to everyone! We LOVE our LifeSource Water System! There are so many benefits! There is no need to condition one's hair, because it is left so silky and shiny without the effects of hard water and contaminants! Bathing and showering are as if the water were satin! It is unbelievable what a difference it has made in my cracked, dry fingers, and my husband's face! He says shaving in the morning is easier and faster, as the razor glides over his face! Of course, the drinking water is amazing! It is sparkling clean and pure! Our bathroom, laundry room, and kitchen fixtures are so easy to clean, as are shower doors. 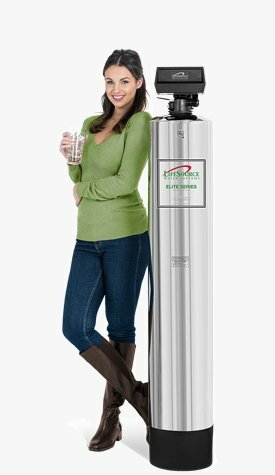 We recommend the LifeSource Water System to everyone! Don and Shelley, our representatives, are GREAT! Why do we love our LifeSource Water? Because the filtered water we get through our newly-installed Water Filter 1620-S gives us the peace of mind that comes from knowing that the filtered water is good for our health and the health of our water pipes and appliances.